Everyone surely will rejoice specially those who are working full-time this season. The good news is Malacanang announced today, December 14, that December 26 and January 2, both Mondays, are special non-working holidays. 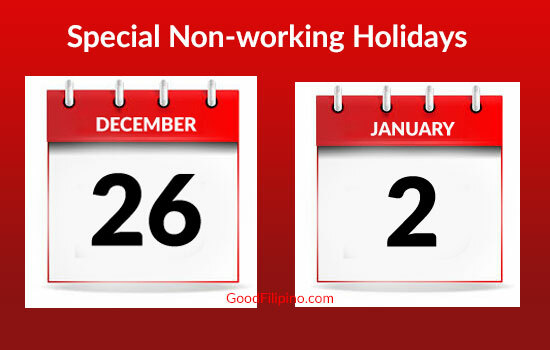 The Palace on Wednesday announced that December 26 and January 2, are special non-working holidays. 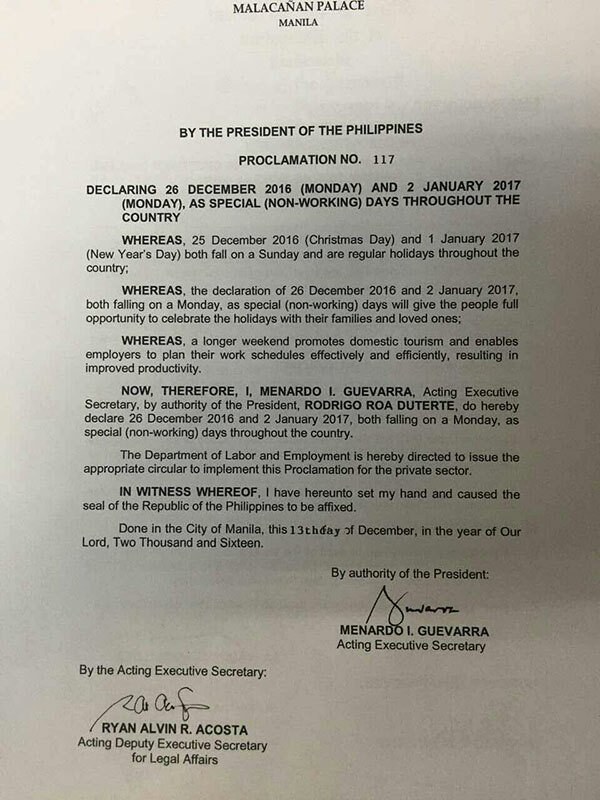 Through the acting Executive Secretary Menardo Guevarra who signed the Proclamation 117 declaring the two dates as holidays. The Palace said the two dates were declared holidays so that the public will have "full opportunity" to celebrate the holidays. December 24, 25, 31 and January 1 fall on a weekend this holiday season. Comments or suggestions about "JUST IN: No Work on Dec. 26 and Jan. 2, declared special holidays" is important to us, you may share it by using the comment box below.